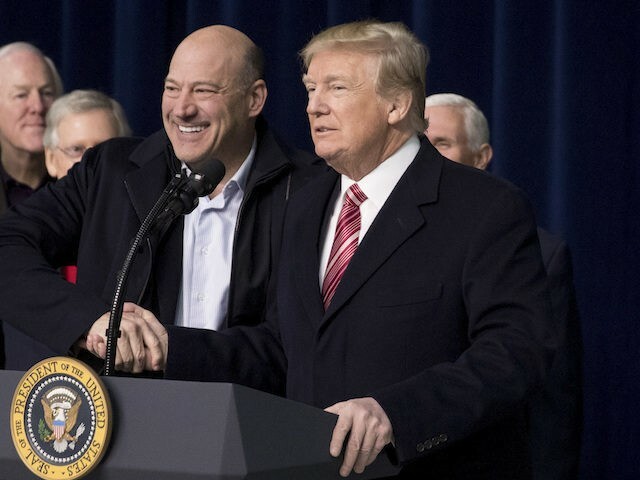 President Donald Trump urged former Goldman Sachs COO and senior White House economic adviser Gary Cohn to stay in the White House, despite a complicated relationship with the president. “Gary, hopefully, will be staying for a long time,” Trump said when reporters asked if Cohn would remain. Trump joked to the press that if Cohn left, he would be happy. Trump called him up to the podium during a press conference in Camp David. Cohn said he was happy, but he did not confirm he would stay. On Friday, Cohn indicated that he would stay but did not say how long. “I’m here today, and I’m here next week,” he told CNBC. In December, Cohn told Axios reporter Mike Allen that he was staying in the administration to help Trump’s infrastructure agenda.